Business hours: Mondays to Sundays, 6.00am to 11.00pm. SAVOUR some of the best traditional and contemporary Malay specialities as Spices @ Furama, Bukit Bintang serves up its Sajian Selera Ala Kampong buffet dinner this fasting month. Senior citizens aged 55 and above enjoy a 50% discount. 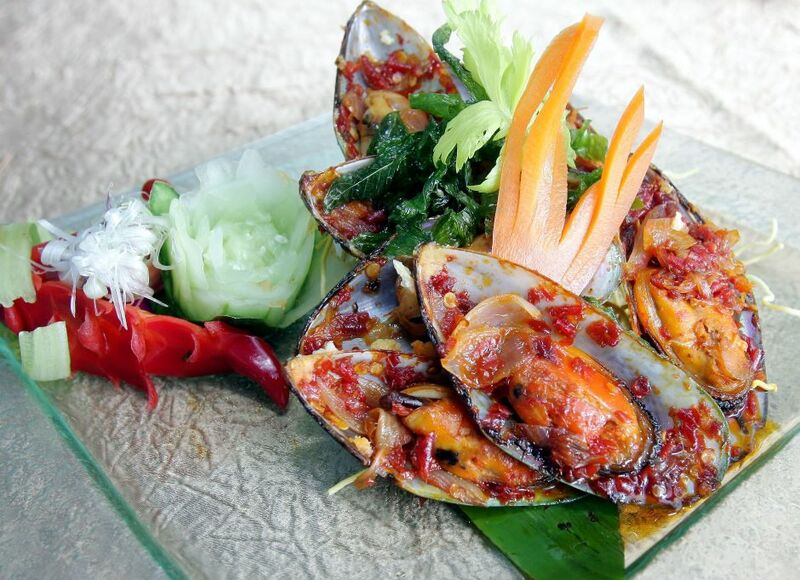 There are more than 100 mouth-watering dishes ranging from appetisers, soups, deep fried fritters, charcoal-grilled seafood, roti canai, a variety of desserts and a selection of hot and cold beverages specially cooked by executive sous chef Haslinda Nawi and her team. During a media preview of the buffetspread, some of the dishes sampled included Kerabu Taugeh Berkerang, Popiah Basah with Serunding Ayam and Soup Kambing Mamak. The kerabu was generous with ingredients like cockles, onions and fresh chillies. Its strong lemon grass flavour was interesting and went well with the spiciness of the chillies. As for the traditional popiah basah, chef Haslinda added serunding ayam (chicken floss) into the wrap for added flavour. The soup, meanwhile, was redolent with onions, carrots and potatoes while the meat was tender and fell-off-the-bone. Highlights for the main course included Burung Puyuh Goreng Berempah, Gulai Daging Kawah, Kupang Masak Berlado, Ekor Asam Pedas, Ayam Percik Kelantan, roasted lamb leg and many more. The fried quail was especially noteworthy as the spices used was just nice, without being overpowering, while the meat was juicy and tender. A must-try from the buffet spread is the Roti Canai Durian, especially invented by chef Haslinda. ?I wanted to re-invent the classic roti canai. I tried out a variety of ingredients including strawberries but found that the roti canai with durian was the most well received. ?As this dish should be enjoyed hot, we will be serving it a la minute,? she said. Desserts include the Pandan Cheese Cake, Pandan Fudge Cake, Sago Gula Melaka and assorted Malay kuih and cookies. The buffet dinner runs until Aug 4, between 6.30pm to 10pm, and is priced at RM68++ per adult and RM34++ per child aged four to 12.